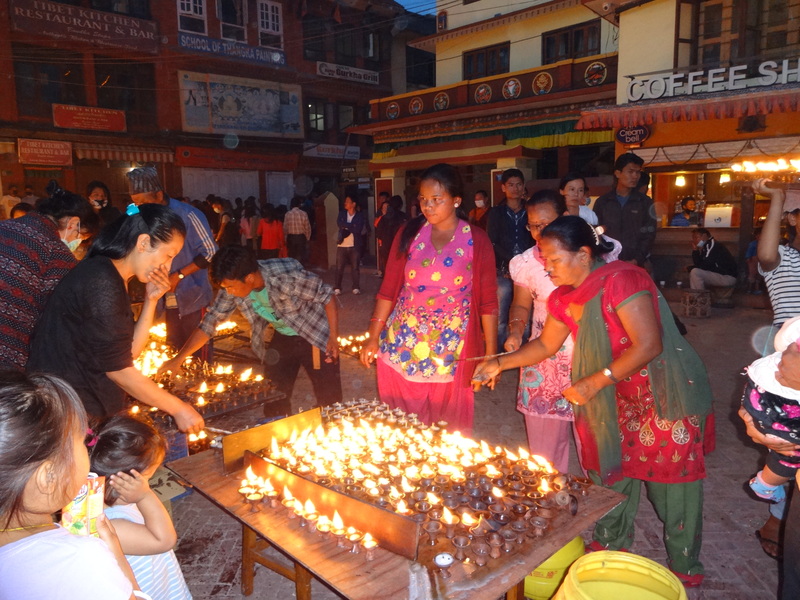 La st night thousands of Nepali commemorated the full moon and the birthday of the Buddha 10 days after the devastating earthquake of April 25, 2015. 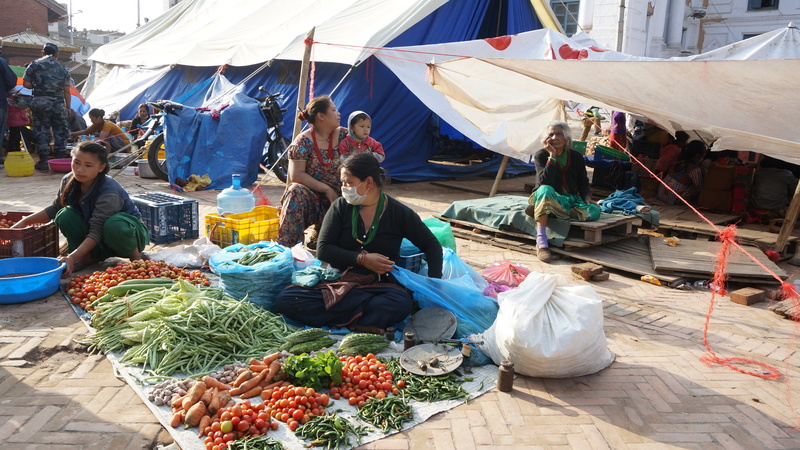 A return to life and living, a reminder that life goes on, that our spirit continues as the Nepali people recover. 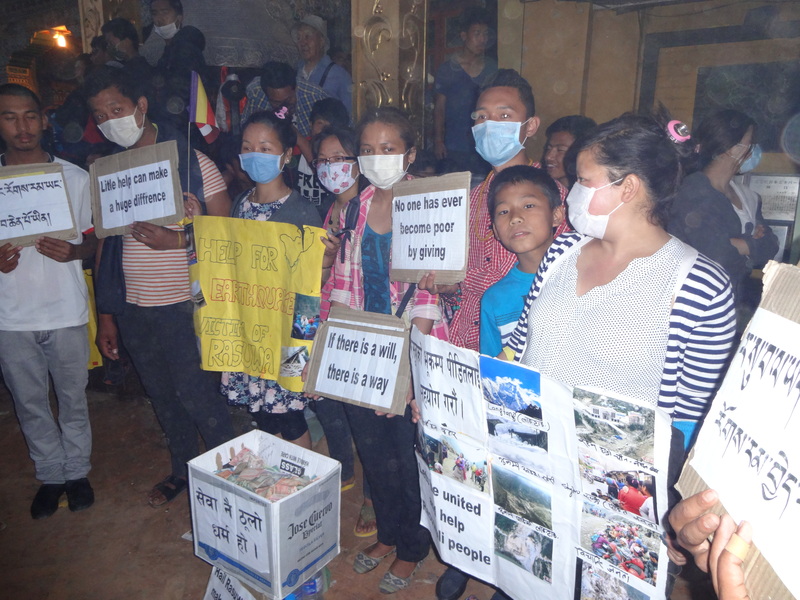 Groups of young people stood with signs and donation boxes singing songs encouraging people to contribute whatever small funds they could to help those in need. College students from near Langtang soliciting donations for their communities in Rasuwa district. 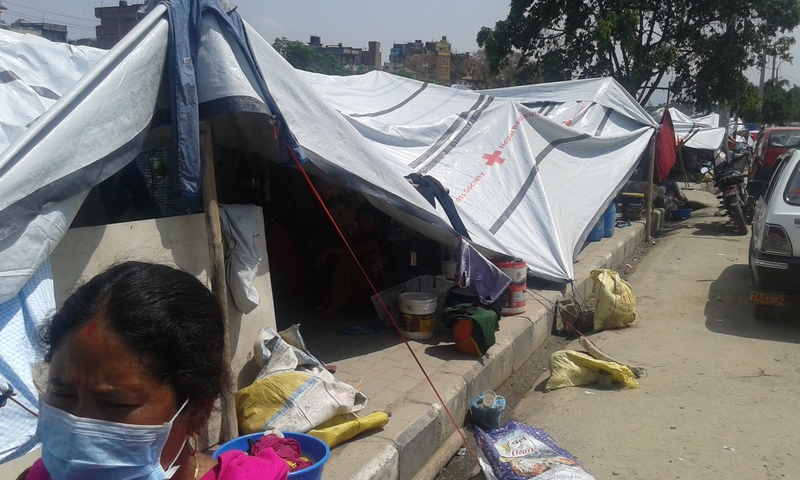 Life in Nepal has become before earthquake and after the earthquake. The key questions preoccupy most conversations: what were you doing…? where were you? Is your family all okay? How is your house? In any other circumstances, each of these ‘aftershocks’ would’ve been considered a newsworthy earthquake on its own. 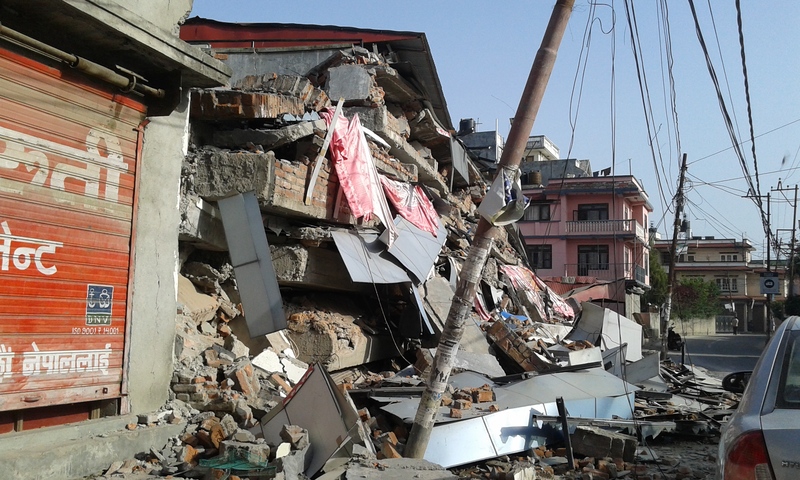 This continued with decreasing frequency over the next 3 to 4 days but the 6.9 quake on Sunday noon caught everyone by surprise for its intensity and duration and it seems that this quake caused a lot of the damage to buildings weakened the day before. The quake happened to happen on the day of the week when people were out of doors – a Saturday afternoon. 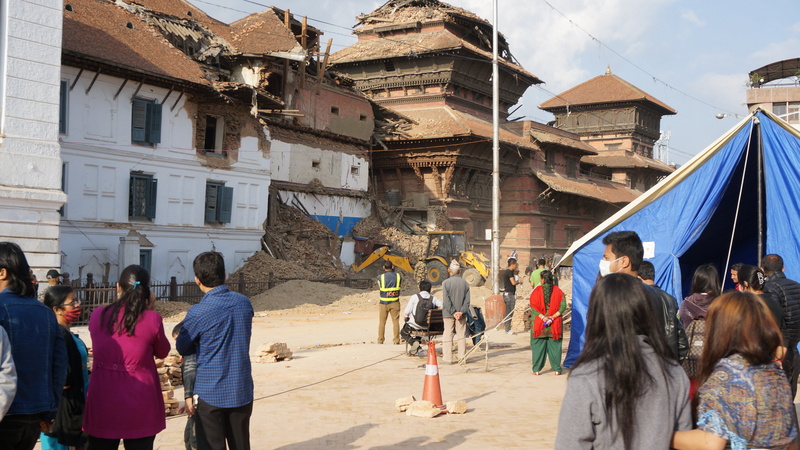 People are relieved that students were not in schools or college buildings that collapsed, workers were not in offices or factories. Most people were not so fortunate – the poor living in cheaply built rented rooming houses, those living in remote areas especially near the epicenters of the earthquakes, and those living near hills and ridges that bounced back the shock waves. 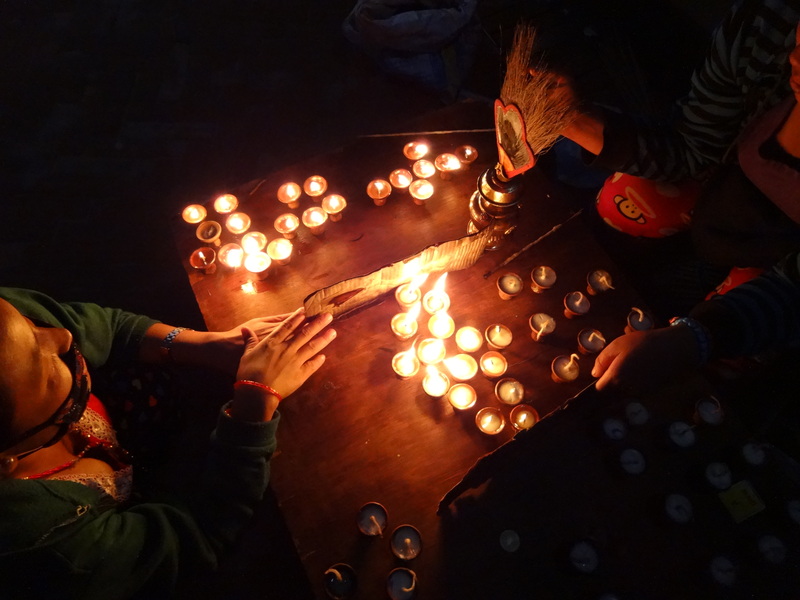 The initial response of young people in Nepal has been encouraging and heart-warmin g. They are raising funds and gathering relief materials to take trucks much needed supplies to those in communities for almost every house has been destroyed. They are drawing on the resourcefulness and resilience of their mountain communities. The night before the earthquake friends had gathered at Boudha stupa to remember a recently deceased friend. Ten days later we close the loop and return to living in the entirety – the sacredness and the dreadfulness – of this time and very special land, to mourn the dead and to pray for the living. More regular posts are promised in the coming days and weeks. This entry was posted in Development and Poverty, Nepal and tagged earthquake Nepal by franceslk. Bookmark the permalink.